This Pony® Pipe Clamp by Jorgensen® features a special deep-reach head, which allows you to micro-adjust your tightness from the outboard end of your clamp. 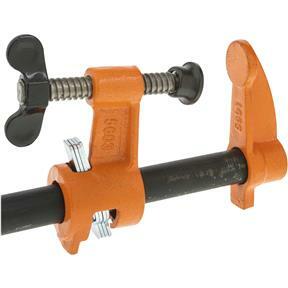 The design is perfect for tight jobs where traditional pipe clamps may not work. Pipe not included. Made in USA.